A CSU research student has taken inspiration from the International Year of Pulses and her personal love of pulses to create a new food product. A Charles Sturt University (CSU) research student has taken inspiration from the International Year of Pulses and her personal love of pulses to create a new food product. PhD student Ms Neeta Karve (left) has joined forces with CSU graduate Dr Saira Hussain to develop a pasta made from germinated yellow peas. They will 'pitch' the new product during a national competition at the Australian Institute of Food Science and Technology (AIFST) annual conference in Brisbane this week. After meeting at CSU in Wagga Wagga in 2015, the pair formed a partnership to develop the pasta. Ms Karve said, "The pasta has all the goodness of pulses, including minimal processing and being high in pulse proteins. "It is healthy and nutritious with the presence of essential amino acids, digestible carbohydrates and functional bioactive compounds. "One of my passions is to highlight the importance of pulses, to promote their local production and consumption. "I would like to see pulses become a staple product like rice." Dr Hussain said, "Pulses are a rich source of bioactive compounds, protein and fibre, which are all important for a healthy lifestyle. "This product will also help satisfy the increased demand for gluten free products. 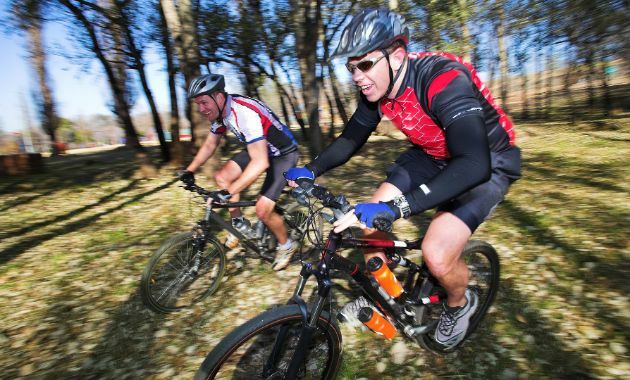 Our product provides consumers with choice and the potential to prevent chronic disease." Director of the ARC Industrial Transformation Training Centre for Functional Grains (FGC) at CSU in Wagga Wagga and PhD supervisor Professor Chris Blanchard said, "This product is a good example of how science is being translated into a functional food product that will improve the health status of our population and generate economic benefits for our grain producers and processors." Ms Karve is doing her PhD through the School of Biomedical Sciences at CSU in Wagga Wagga. 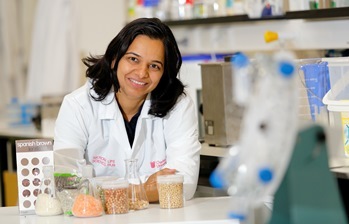 She is one of the postgraduate students in the Functional Grains Centre - funded by the Australian Research Council Industrial Transformation Training Centre program and is supported by industry partner Flavourmakers. Read more here. The United Nations declared 2016 the International Year of Pulses (IYP16). Ms Neeta Karve's PhD is entitled, Structure and Functional relationship of Pulse Proteins. She will be at the Function Grains Centre at CSU in Wagga Wagga on Thursday 30 June. Contact CSU Media to organise an interview or photo. Dr Saira Hussain was awarded her PhD on Bioactive compounds in canola at CSU in Wagga Wagga in December 2015.